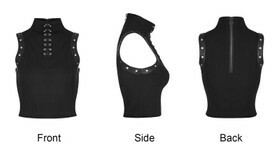 Sleeveless gothic top for girls by Punk Rave. Crop top cut. Leather and rivets contrast. Cleavage slash closed with 7 piercing barbells. Stretchy. 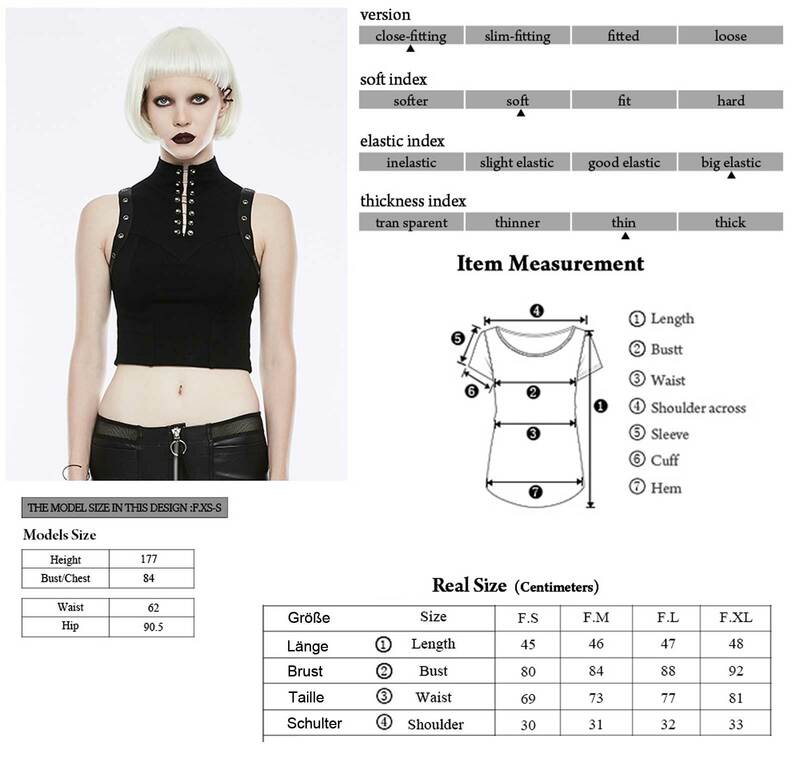 Sleeveless gothic top for girls by Punk Rave. Crop top cut. Elastic viscose mix. 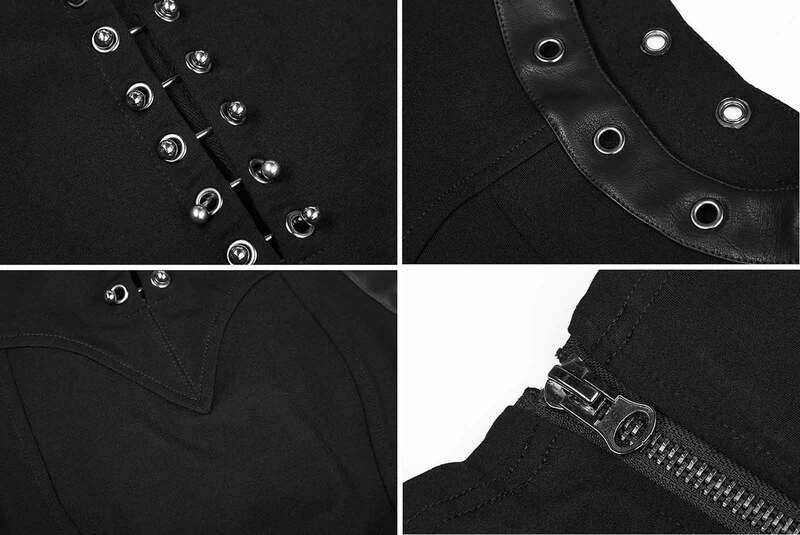 Sleeve openings with faux leather and rivets. Stand up collar. Eyecatcher is the cleavage slash closed with 7 piercing barbells. Back neck zip for easy dressing.